DESMOPOL Demo Day at Hanwell – Thursday, 8th June. Join us at Hanwell on 8th June, from 7:00 am to 1:00 pm, to discover an incredible product: DESMOPOL waterproofing membrane. Desmopol is a highly elastomeric waterproofing liquid membrane that can be installed in a single layer with excellent adhesion to all types of surfaces. Desmopol liquid membrane is very easy to apply reducing overcoat times and has a great adhesion to all substrates, making it the ideal seamless liquid membrane for new buildings or remedial work. Only 1 layer with accelerator. Rapid curing. Resistant to rain 30 minutes after application. Protects against corrosion, rust and wear. Easy and quick application. No reinforcement required. High resistance to extreme temperatures. From -40°C to 80°C. Can be applied from -5°C to 35°C. 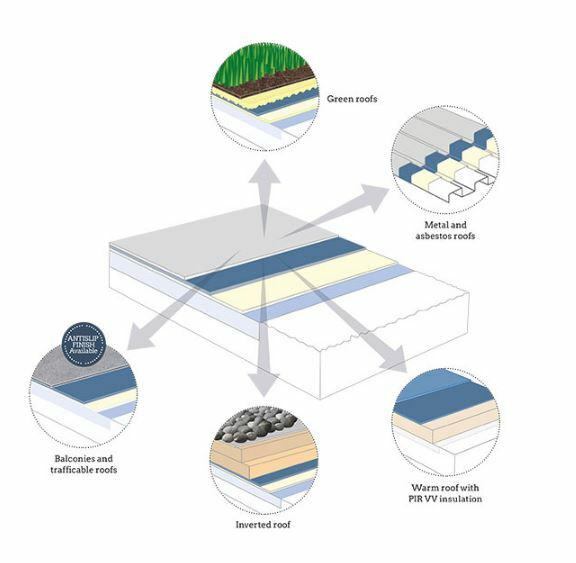 Excellent adhesion to all types of substrates: plywood, bitumen membrane, concrete, asphalt. Can be applied even with zero pitch. CE marked & ETA certified for 25 years. High resistance to abrasion and high elasticity. It can be applied on a damp surface.